T-Rex is a miner designed for modern NVIDIA GPUs with Compute Capability 5.0 or greater (Maxwell and Pascal generations). According to the devs, new algorithms will be implemented in the future releases as well as performance improvements and new features in order to provide full experience to the users. T-Rex also provides API support (HTTP JSON [preferable] and telnet ccminer compatible). 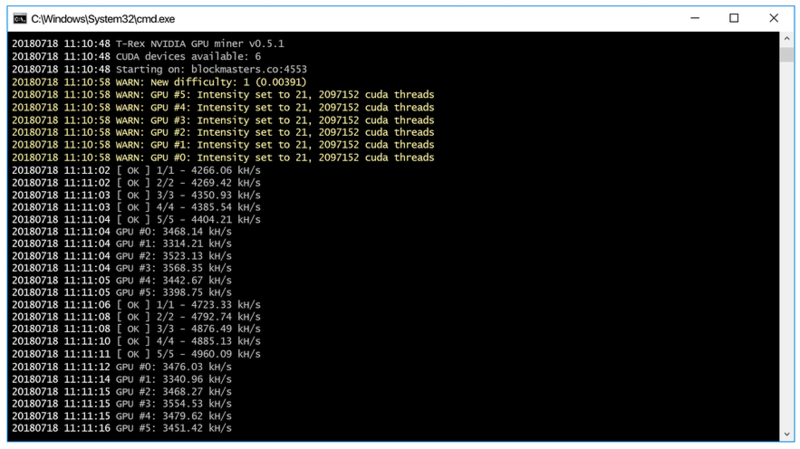 The miner contains 1% devfee providing the console output when miner starts and stops mining dev fee to provide maximum transparency possible to the users.